New mom and Real Housewives of Atlanta star Porsha Williams, and her fiance and child’s father, Dennis McKinley, have a Bravo spin-off coming soon, fittingly titled Porsha’s Having a Baby. Williams, who recently gave birth to daughter Pilar Jhena, took to her social media to confirm she’ll be giving fans VIP access to her pregnancy. Williams stated that Bravo “answered” to fan demand to see first hand the 37-year-old’s journey to motherhood. 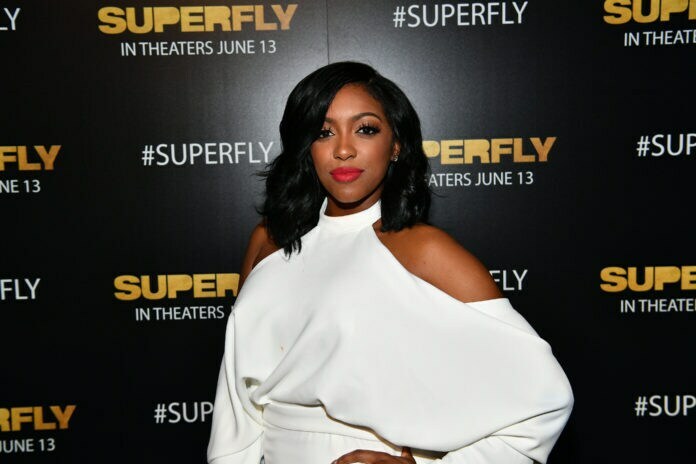 News of Porsha’s show comes right after she and co-star Nene Leakes underwent a major public feud on social media. In a statement accompanied by the show’s official trailer, Bravo network details that Williams and Mckinley undergo their fair share of drama leading up to the arrival of their daughter. Williams welcomed her first child on March 22, and even gave fans an opportunity to weigh in on her name. The spin-off, Porsha’s Having A Baby, is set to premiere on Bravo on April 28th, after the third episode of the three-part RHOA reunion.